I joke that my days are fueled on coffee, stress, and the grace of God, but honestly, that isn’t too far from the truth. I find myself rarely feeling content to just be still because my mind is always racing to the next thing on the list. If I am sitting with my husband in the evenings, I am thinking about how messy the house is. If I am homeschooling the kids, I am obsessing over all that needs to be completed at work. When I am working at home, I feel guilty because I would rather be with my kids. I do many things, but I never do any of them well, because I am doing too much. As women, wives, and mothers we have an unrivaled ability to manufacture guilt about the things we can’t control and we have a debilitating habit of adding more to our plates that only exacerbates the chaos. Maybe you are struggling with all of the same emotions and thoughts that I have. Have you tried for years to fix whatever is deficient within you to make yourself manage your time more effectively? Do you awake with grand plans for your day but the moment your schedule is diverted you are scrambling for a grip as your day slips through your fingers? Do you battle regret, anxiety, discontentment? Do you feel like your health is failing due to years of unfettered stress? Busy moms everywhere want a dose of the Proverbs 31 woman’s initiative, a schedule that works, and a nap, am I right? Here are 5 ways to inject some more discipline in your life to render the results that your heart longs for. Take an hour and sit down and write out what you are feeling to get your thoughts in order. If you are going to declutter your schedule, you really need to clear your mind first. Are you feeling guilt? Write down what are you feeling guilt about. Consider any lies that are feeding this guilt and what truths reside beneath the surface. For example, I often feel guilty because I “waste time on social media during the day”. For me one lie in that is that I am not exactly “wasting” most of that time because the majority of my work is located on social media. What can I learn from this guilt? First, I need to be present in the moment. When I am with my kids homeschooling, I should not pull out my phone and answer an email for work. I need to carve out time for work and leave work during work time. Second, if I do find that I am wasting time goofing off on social media instead of working, I need to work on being more disciplined with my allotted time for work, and maybe remove that Facebook app from my phone if it is a temptation. Are you feeling anxious? Anxiety is different than guilt although the two can be connected. For instance, I feel guilt about my time on social media, but when I don’t check my email for a day and I come back online and have 20 emails staring me in the face to reply to, it causes me great anxiety. These two feelings are closely tied but separate entities at the same time. Write down those things that cause you anxiety on one line and guilt on the other. Define the lines between each of those items on your list and determine the catalyst of each. In an ideal world what would you want your schedule to look like? Which problems from the above would this schedule solve? Write the answer to those questions down. What does your schedule actually look like right now? Be honest and write that down no matter how embarrassing. Now is the time to get down to brass tacks. You are going to begin creating a schedule that makes sense for your family and your responsibilities. You are going to allow breathing room. You are going to challenge yourself to be and do better. You are going to give yourself grace. What are your non-negotiable responsibilities and where can you carve specific times for those so that they do not bleed one over into the other? Write that down. I challenge you to list those things you COULD cut from your schedule if you needed to do so. What can you cut from your life, even if it hurts a little bit? Can you think of things that you would love to add to your life if you had the time? Think hobbies, hospitality, date night, family game night, girls night out, and the like. Consider where you are burdened with perfectionism. Could you delegate your work or household chores, but you choose to do more because you need the control? If you are too busy, you must be willing to remove some things from your plate. Determine the non-negotiable priorities and force yourself to let go of the rest, at least for a time, while you work on getting your life under control. I don’t know about you, but I often say “yes” before even thinking much about it. Being willing to give of yourself is not a bad thing. What makes our commitments miserable, soul-draining decisions is when we give ourselves to everything without any measure of discipline. If you have a schedule, if you know what your non-negotiable priorities are and where they fit into that schedule, that will give you a template for where fresh commitments might fall. We need to commit to self-discipline in this area, because we all know if we don’t, we are going to end up being committed by our family to a rehabilitation center for our quickly fading sanity. I know that when I create a schedule I tend to fill it to the brim and not account for life happening. This happened to me the last time I created a work schedule. I only had one day of rest. I was committing myself to stay up and work late at night and early in the morning. I did not account for sick kids, a sick me, housework getting behind, and the all important lazy days you want to have to cuddle kids and sit on the couch and read. I got two days into that schedule and trashed it. In the same way that we budget our money, we must budget our time. We must plan for life to happen, rest to take place, and even allow for our schedules to evolve to fit our ever changing lives. You NEED other godly women in your life. This must be one of your top non-negotiable priorities. You also NEED time with your spouse for conversation and prayer together. We must have accountability to stay in God’s Word and continually seek Him in prayer, because sadly, that tends to be the first thing to go when our schedules become chaotic. Why is it that we often let go of our most secure lifeline when life gets hard? I know I could use a godly spouse and friend to challenge me when I am being lazy, encourage me when I am being productive, and reign me back in when I have spread myself too thin. If you don’t have a friend like this, ask for one. Pray that God would put one in your path and then actively look for where He is leading you. I have literally gone up and asked people to be my friend and meet with me regularly. It might be a little out of your comfort zone, but it often works because other moms just like you are looking for accountability too! Busyness and the onslaught of stress and anxiety it accrues is not good for you. Like it can actually destroy your health if left untended. Busyness can also be just as much of a sin as idleness. Idleness is NOT the same thing as rest and leisure. We do ourselves a great disservice by not differentiating between the two. Idleness is when you are consistently being lazy and wasting your time doing nothing of worth. Rest and leisure on the other hand can have great worth. We all need sleep to live. Sleep is a non-negotiable so pencil that in! We were also made to enjoy the bounty that God has blessed us with. It is GOOD for you to take an entire day regularly to just sit on the couch and do nothing with the kids, cuddle, play games, read a book. Forget the house, forget getting dressed for the day, eat some popcorn for dinner and call it a successful day. That is not idleness. That is making memories. That is restful for you mind and body. NEVER regret taking time out of your busy schedule to enjoy the life that God has given you, to be still for a moment before Him, and to bask in His blessings. 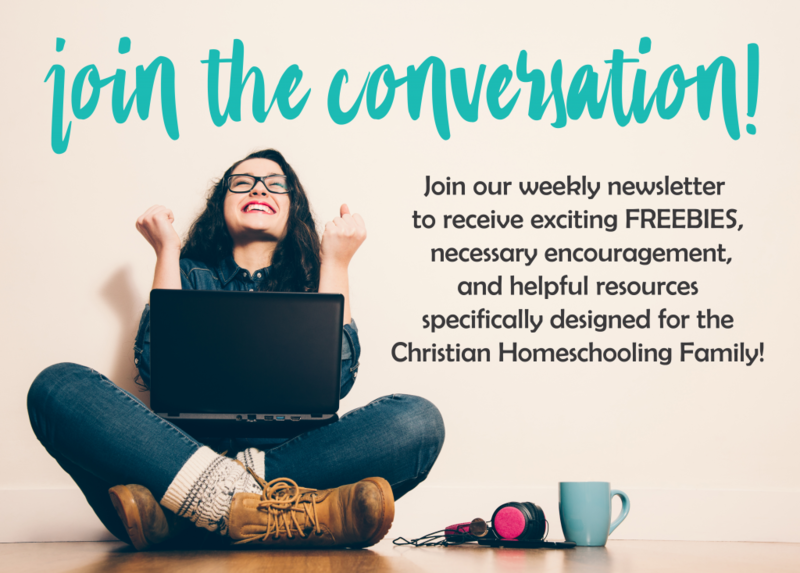 We are always looking for the proverbial balance between church, home, homeschooling, work, rest, and fun. I assure you that due to living in a fallen world, that balance will continue to elude you, but we can most definitely take steps to revamp our schedules to make them more God-glorifying, family-nurturing, and self-sustaining. We must trim the busyness out of our schedules so that there will be room for productivity – productivity that will lead to a soul less cluttered because it is focused on the important things in life. Brainy Days Warm Ups: January Edition Calendar is HERE!